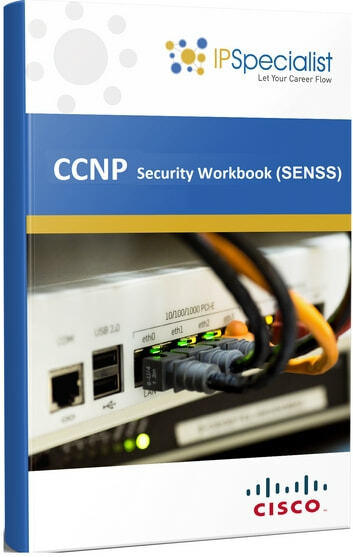 Cisco Certified Network Professional Security (CCNP Security) certification program is aligned specifically to the job role of the Cisco Network Security Engineer responsible for Security in Routers, Switches, Networking devices and appliances, as well as choosing, deploying, supporting and troubleshooting Firewalls, VPNs, and IDS/IPS solutions for their networking environments. Passing this exam validates the candidate’s knowledge as a Network Security Engineer. During this examination, the candidate is tested for configuring and implementing the network security on Cisco Network Perimeter Edge Devices such as Cisco Switch, Cisco ASA Firewall, and Cisco Router. The core focus of this examination is on the technologies used for strengthening and enhancing the network security of network parameters such as ASA policy, Network Address Translation, and zone-based firewall.